Thanks to the generosity of our community, The Montpelier Center raised $100,000 and has been awarded a $100,000 match by The Cabell Foundation. With these funds secured, we now begin the important work of capital improvements to The Montpelier Center building. 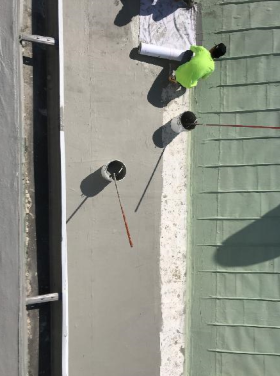 Improvements outlined in out capital improvement plans include refinishing our hardwood floors, updating our bathrooms, replacing our HVAC system, repairing and sealing our flat roof, installing a PA system, upgrading the kitchen, and refurbishing our exterior doors. ​Keep track of the progress with us! You can check back to this page throughout the coming months for updates on our ongoing projects. 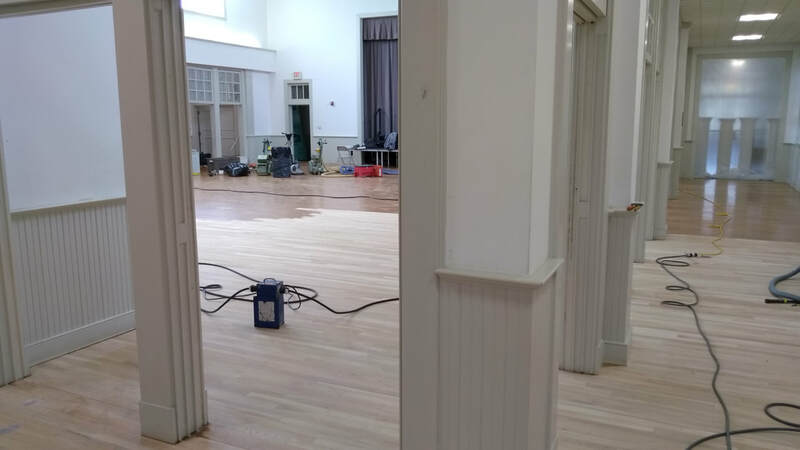 If you have visited The Center in the last two months, you may have seen our floors in the process of being refinished. After many years of the community's loving use, they were in need of refreshing. 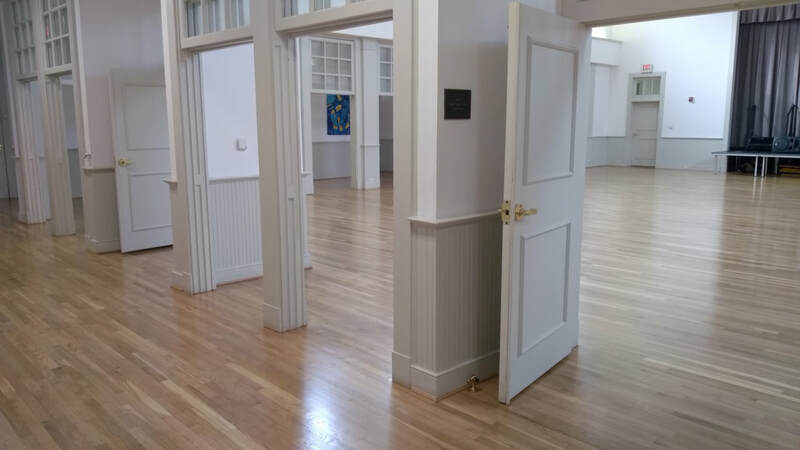 Generations Hardwood Flooring did a beautiful job restoring the magnificence of these floors and we are thrilled to have them now add renewed beauty to all of The Center's events. Our kitchen is also an amenity that is frequently used by The Center and the public. It provides a place where for for not only The Center's programs and events can be prepared, but also for all of the groups who have their private events here as well! 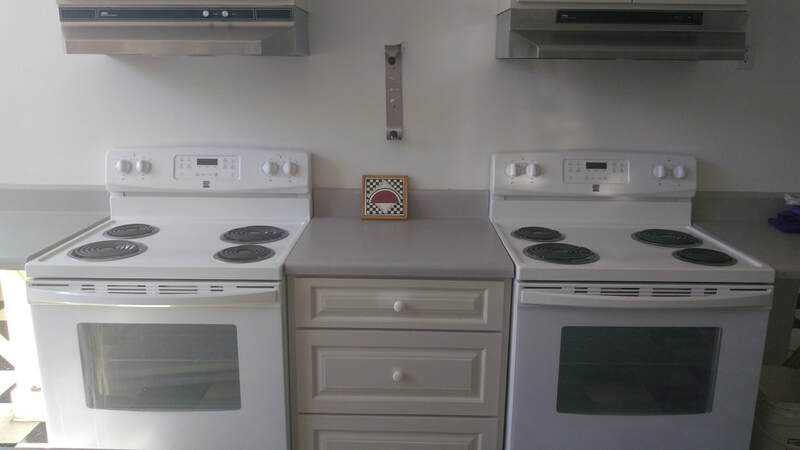 To best continue serving the community, we have updated our stoves and also added a commercial warmer! The Montpelier Center has two sets of bathrooms, one on the east side and one on the west side of the building. If you have visited these areas, you may know that they could use some updates. The current bathrooms were put in place when the building was originally renovated from its prior existence as the old Montpelier School back in 1990. Renovation in the west bathrooms is underway now, and once completed we will begin on the east side. 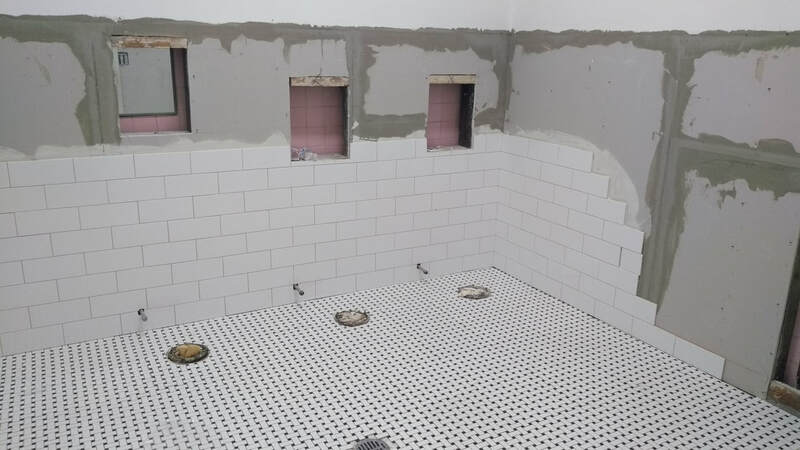 Improvements include regrading the floor to be level, replacing the wall and floor tiling, replacing the partitions, updating the toilets to commercial grade, and upgrading the basins. Stay tuned over the summer for further updates in these areas. The Montpelier Center’s HVAC system is also original to the renovations The Montpelier Center went through at its founding in the 1990s. James River Heating and Air Conditioning Co. is doing a wonderful job as they work to replace all of The Center’s units and upgrade our HVAC to a much more modern and efficient system. 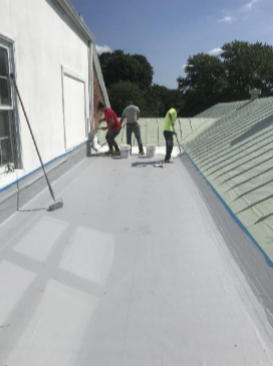 The flat portion of The Montpelier Center’s roof was power washed, coated, and sealed with an Acrymax system this spring. You may have noticed the slanted portion of the roof undergo this same procedure back in 2016. Having this system in place over our whole roof will extend its health and ensure that we are well protected from the elements. The Montpelier Center holds a number of community events throughout the year in our Atrium Ballroom and it is also utilized by the community for private events. Productive AV upgraded this space with a new PA system that will allow us to project audio throughout the space.